Cattails are plants that typically grow in wetlands and have a flowering spike to them. If you’re ever trapped in the wilderness, then you’re definitely going to come across these plants. To someone with no survival skills, cattails may seem like any other plant you’d find in the woods. But the truth is that cattails can actually help you survive if you’re limited on resources. 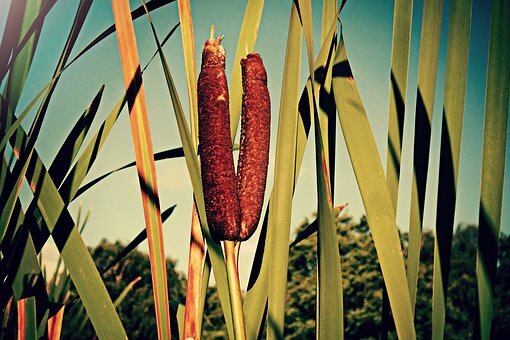 The most basic benefit of cattails is using them for food. Believe it or not, their stems grow a couple of inches over the soil during the warmer months of the year. These stems are quite tender which means they can be peeled and then eaten. You can eat them raw if you don’t have a means of cooking them. Otherwise, boiling the stems will make them easier to chew and digest. The heads of the cattails can also be eaten the same way too. Now if you’re in the wild during the late summer and early fall, then pollen will build up on the cattails’ heads which can be used to make sauces. Any other time of the year, you can dig up the roots of the cattails and soak them in water. This will cause starch to be released from them which you can use with a little bit of pollen to make bread. If you need a roof for your shelter, you can cut up the cattails and weave them together to form squares which resemble shingles. Place these squares on the roof of your makeshift shelter and it will protect you from wind, snow, and rain that may occur. If you’re weaving skills are really good, you can create a sleeping mat or baskets with them too. 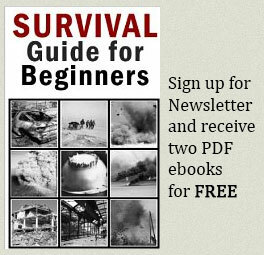 Baskets can be used to carry food and supplies with you as you travel throughout the wilderness looking for sanctuary. And if you need to start a fire to cook food or keep warm, cattails are a fine substitute for wood when starting a fire. Lastly, cattails can be turned into medicinal treatments for burns, insect bites, bruises, and scrapes. All you must do is cut open the root of the cattail plant and lightly bruise the portion of it that’s exposed. Then place it over the injury and leave it there for a few minutes. It is not a miracle treatment, but it does have antiseptic properties that will prevent your injury from getting infected.